And here it is, folks! The beginning of the endgame of Dragon Doctors… this year is going to be one of my best, I think. I hope you agree! I’m getting shivers just thinking up the stuff I’m coming up with… next comic up Monday! I hadn’t noticed: Shelinda’s costume has a similar tan-with-triangles motif to Kili’s usual garb. Interesting! The Tinto Arc is coming to a close, and this is the beginning of the end. 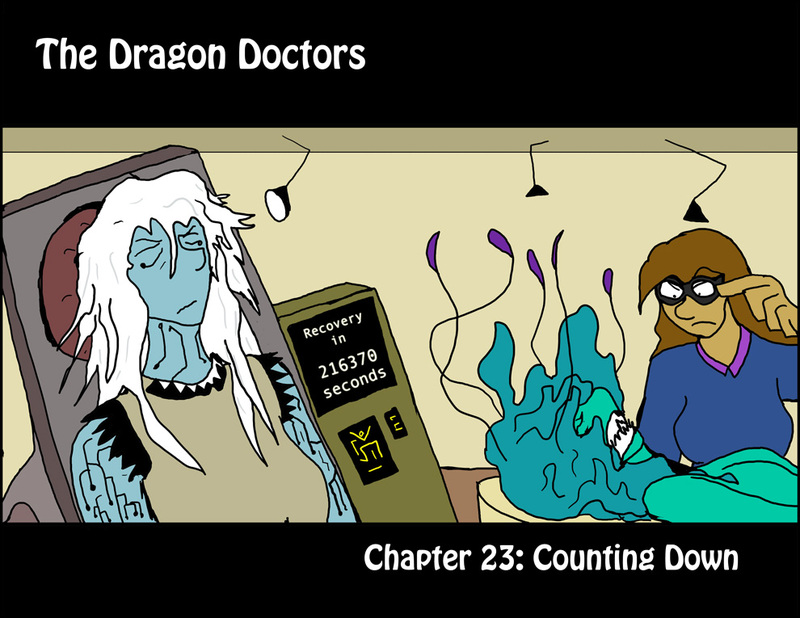 We’re not sure what’s going to happen, or if everyone is going to survive, but we know for sure the Dragon Doctors and their allies are going to do their best to make sure we have a 100% survival rate for the good guys, at a minimum. Wooph… Someone’s got his work cut out for him, by the looks of it. around 60 hours she will be complete recovered. it will be interessing to see how her personality is after being.. used so many years.